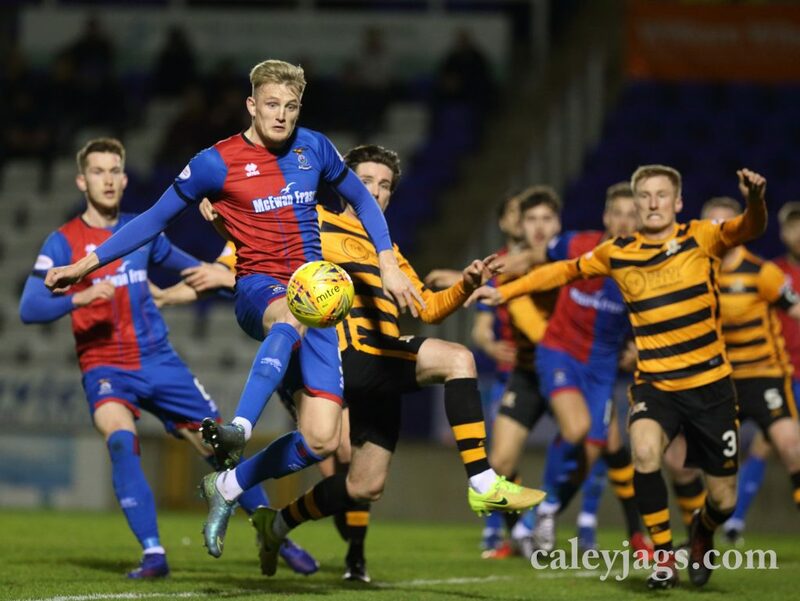 Caley Thistle continued their great run of recent form in 3-2 win against Alloa on Tuesday. 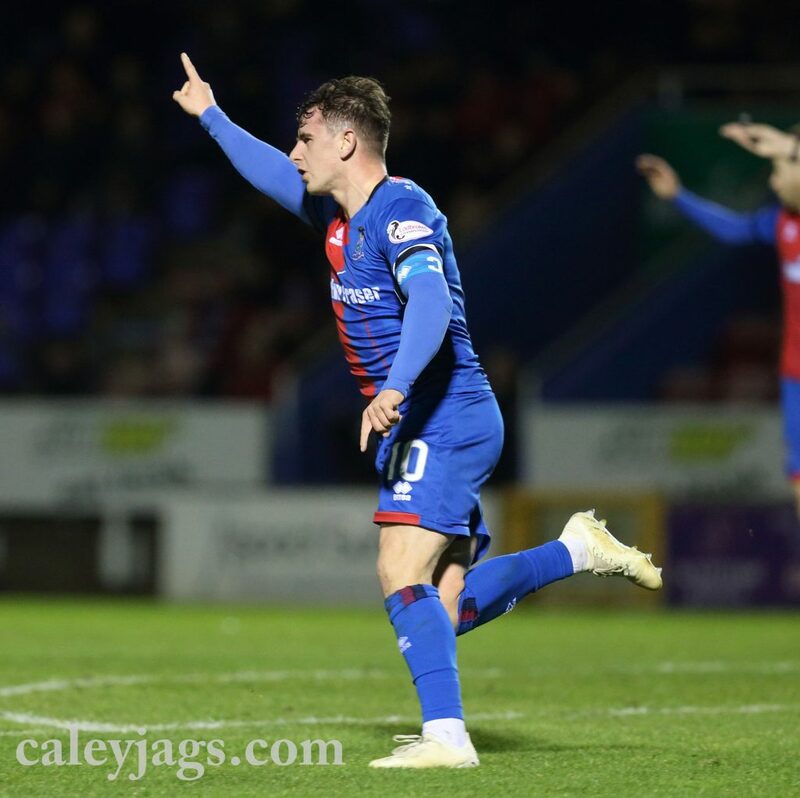 Aaron Doran, Sean Welsh and Jordan White each scored to eventually win all three points and take the Caley Jags to third in the table. But the visitors managed to notch two goals later in the second half, from the spot and via a deflected shot at the back end of the game. 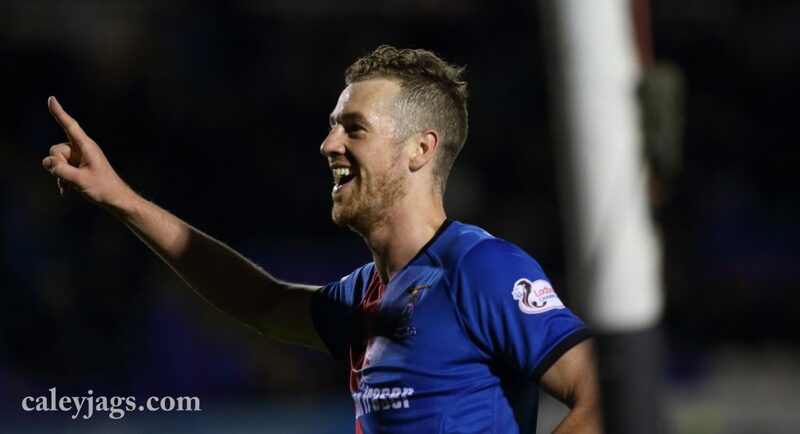 It finished 3-2 to ICTFC at the Caledonian Stadium. 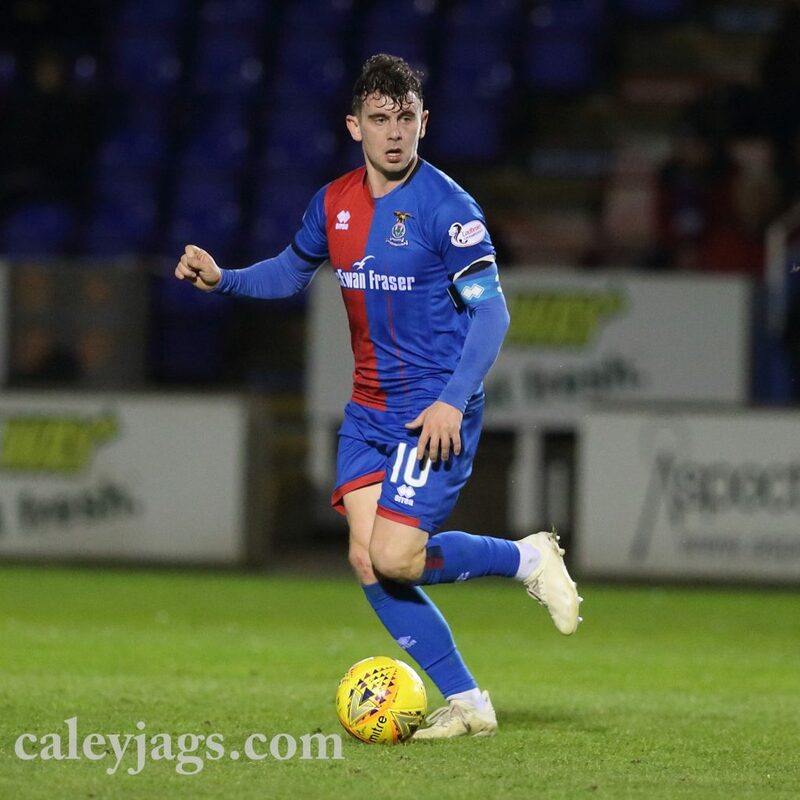 Following on from their great performance away against Partick Thistle, ICTFC showcased even more slick football throughout the game against The Wasps, with Doran, White and Polworth linking up well in the early stages. 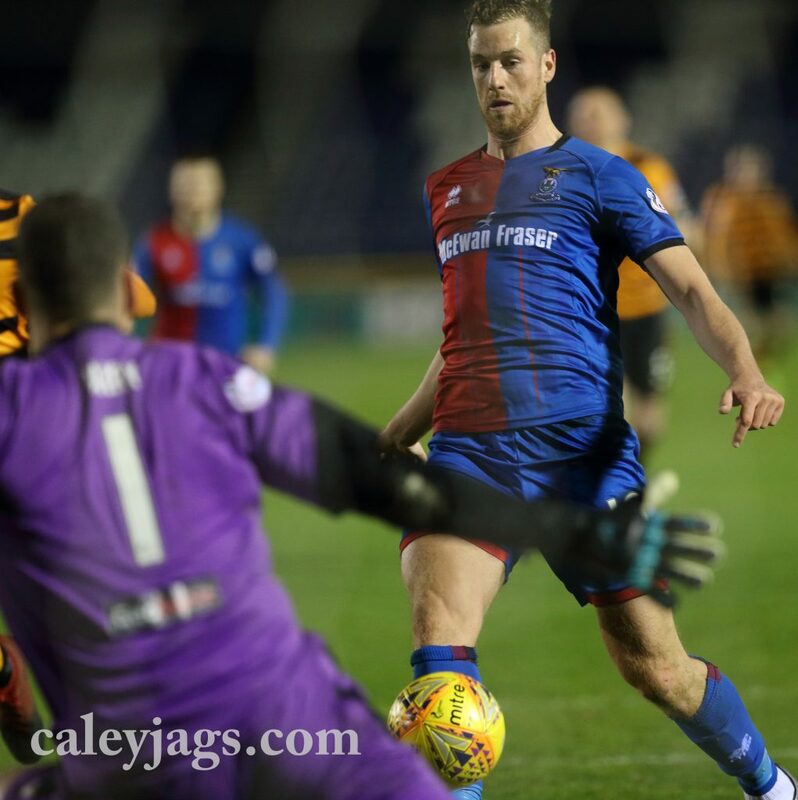 The Caley Jags flooded the opponent’s half for long stretches, rarely feeling threatened. The first real shot on target for the home side came four minutes into the first half after some nice play. 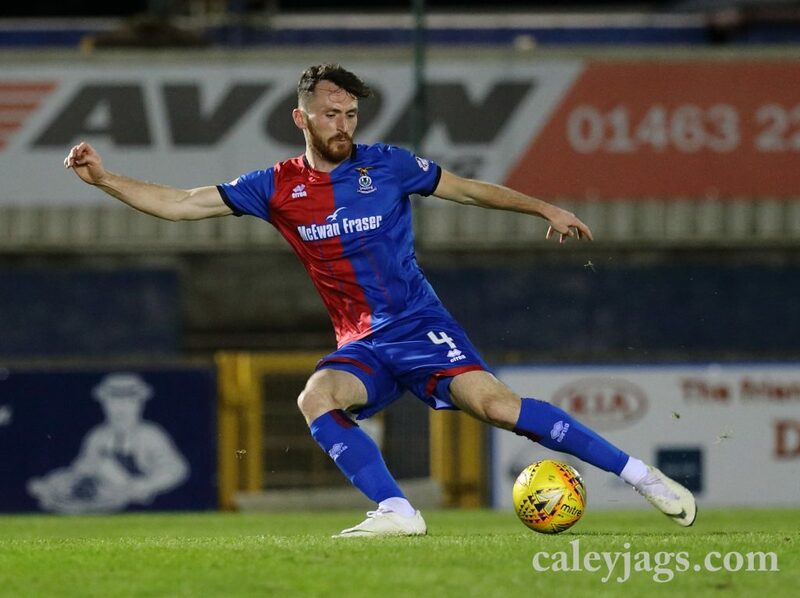 Joe Chalmers received the ball in the middle of the park from Polworth, and from roughly 20 yards out he dug out an attempt with little backlift. It was on target but Neil Parry easily saved as it was down his throat. Kevin McHattie was Carl Tremarco’s replacement at LB, and at the 8th minute he was allowed to stretch his legs and cut inside. As he weaved to the right, Connor Shields clipped him and the referee awarded a free kick from 40 yards. The ball was floated in and cleared to just outside the box on the right hand side and Coll Donaldson smashed it goalwards. It was well taken with his left foot and kept down, but it was too straight and moved away from goal. 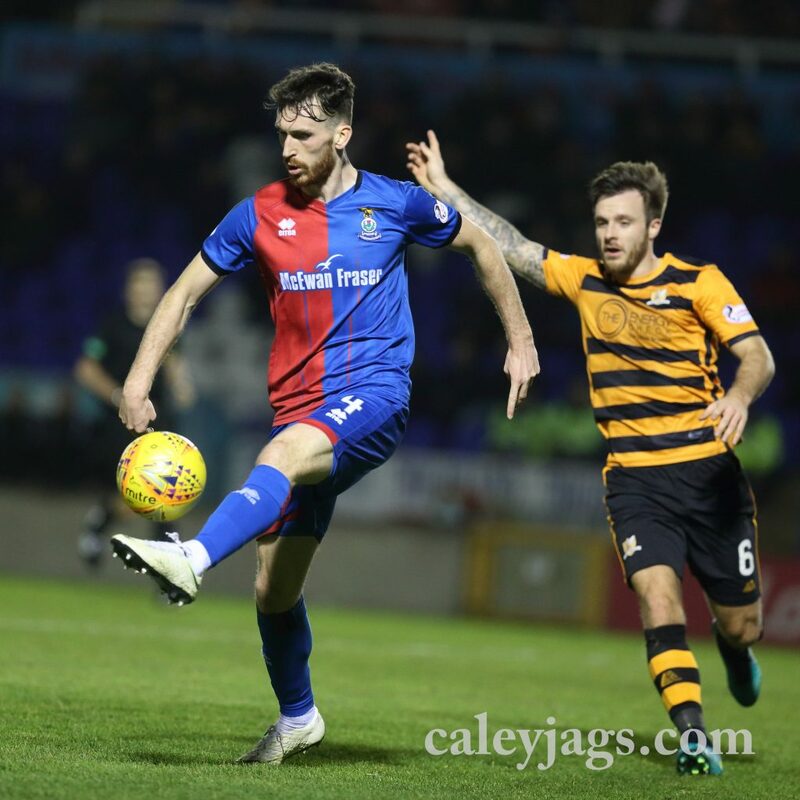 Caley Thistle’s dominance would eventually bare fruit. Sean Welsh whipped an excellent ball cross from the right hand side and it was the in-form Doran who rose highest above all to meet the pass. The Irishman had a neat finish, flicking the ball into the side netting from 15 yards with an accurate header. Moments later Welsh threaded another excellent pass with the outside of the foot, which landed to Jordan White in the box. The striker seemed to get the ball under control, but a defender managed to stick a leg out and prod it out for a corner. 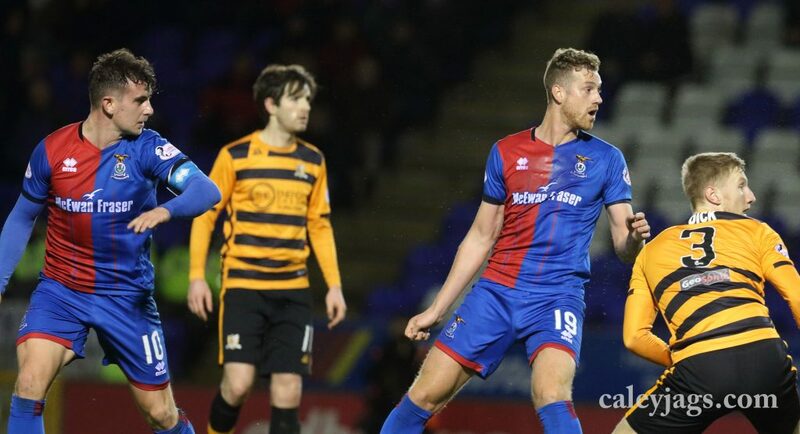 Chalmers took it from the left and a Caley head met it, but the header went the wrong side of the net. Eventually ICT notched their second from the spot at the 35th minute. Aaron Doran knocked down a deep cross to White in the the box, who was then crippled by Flannigan with a mistimed tackle. It was an easy penalty decision from Steven Reid. Sean Welsh stepped up to hit it down the middle and extend the lead. The same flow of play from the first half continued in the second, with plenty of possession in the opposition half and constant switching of play in an attempt to find gaps. At the 55th minute, Joe Chalmers jinked past a tackle to set up Shawn Rooney, who was bombing down the right. The fullback hit it first time and it was inches away from White’s diving header in the middle; the striker could feel the ball whoosh past his face. The threat from ICT’s top scorer would eventually be fulfilled at the 61st minute. Jordan beat an offside trap in the middle of the pitch to receive a Polworth pass in space, and he had all the time in the world to dink Neil Parry from close and get his 14th goal of the season. 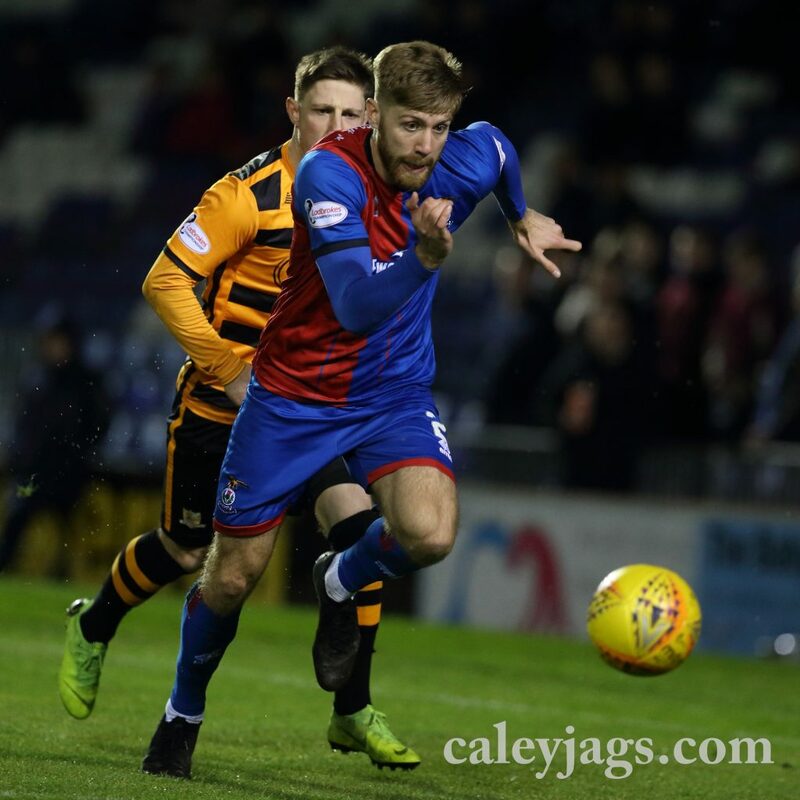 As the minutes started to tick down, the threat of Alloa staying at the bottom of the table spurred them to create more clear chances. 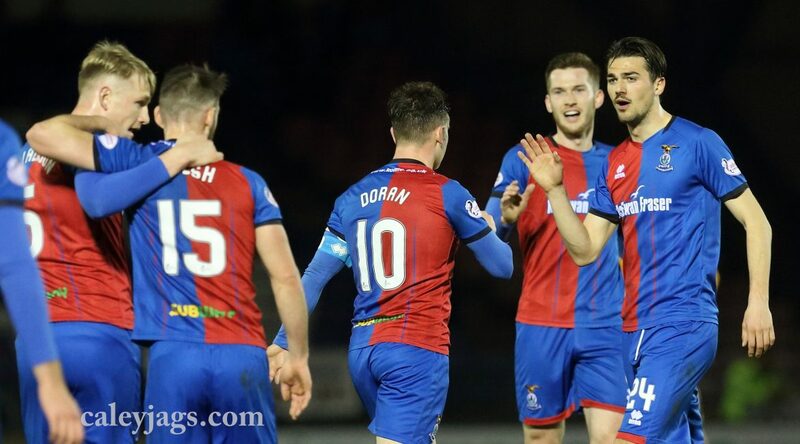 The Hearts loanee, Dario Zannata had a great run down the left hand side at the 69th minute, weaving through tackles and then passed to Alan Trouten, who could squeeze a rising shot that Ridgers tipped over the bar. Ten minutes later, it seemed that Alloa had received a conciliatory goal after being awarded a penalty. Jamie McCart had a clumsy challenge on Trouten in the box and his effort from 12 yards was reached by Ridgers. It not enough to keep it out, as it knicked off the post in the bottom left. At the 90th minute, Alloa managed to tighten the scoreline even further. A speculative Iain Flannigan shot received a wicked deflection off of McCart that completely wrongfooted Ridgers. It curled into the right hand side as the shot stopper had no chance to correct his footing. 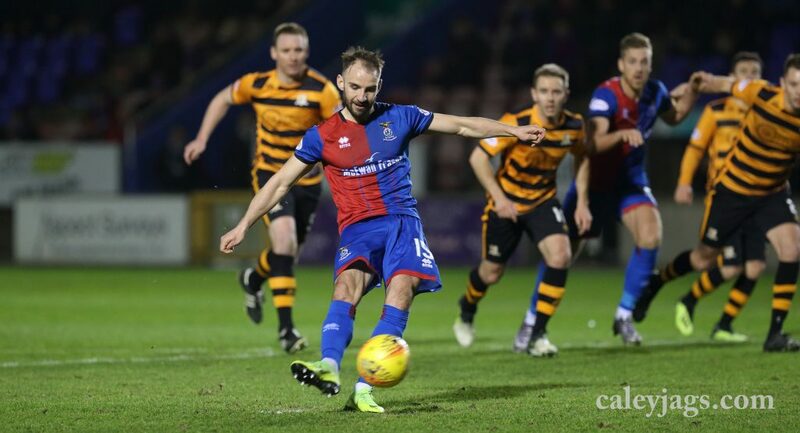 Another goal, with ICTFC still leading, but certainly enough to give the game a bit of tension as the game petered out.